It’s time for Thursdays’ grand giveaway, this ones for the little ones this time. We have been celebrating all week with some amazing prizes for your home, in the kitchen, traveling, parents and more. Check out my giveaway page here. 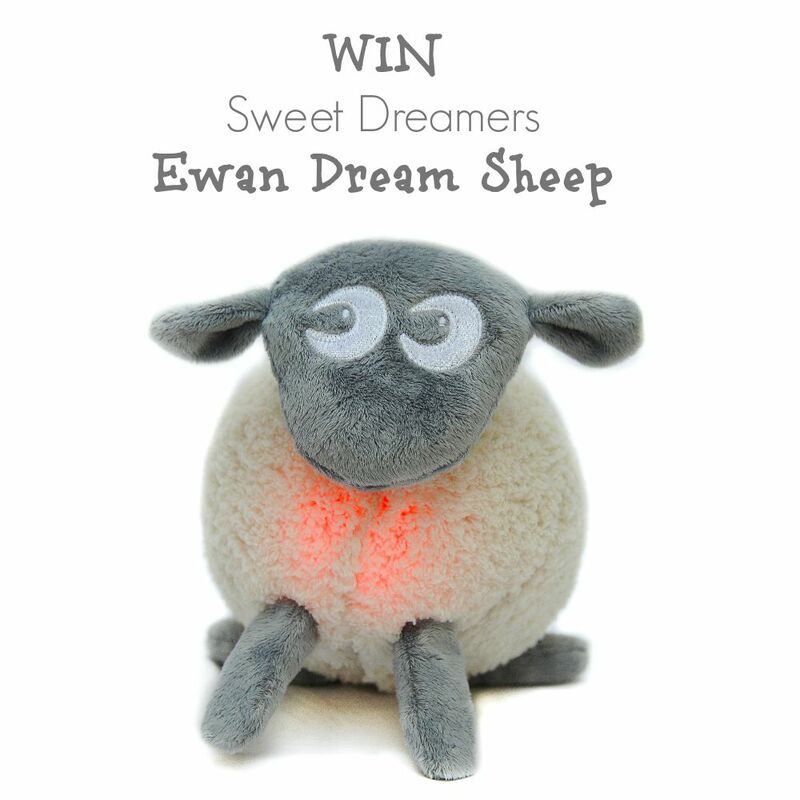 Today’s prize is the amazing Sweet Dreamers Ewan Grey Dream Sheep. We are so excited to be hosting this giveaway for you. The grey dream sheep has all the same amazing features of the purple dream sheep just with a new fleece coat. This gorgeous plush toy emits soothing soft sounds and helps calm babies and toddlers back into their slumber sleep. Don’t forget the lovely pink glow that radiates from it’s belly to comfort your little one. We are huge fans of sweet dreamers in this house already. My two tots loved their Russell dream sheep dog and the Ewan grey dream sheep sounds like it fits right in to the sweet dreamers’ family. If I ever have a third baby I will be sure to have Ewan among the comforters in his/her crib. They work wonders for a great night’s sleep. Enter below and best of luck. Too cute! I would love to win this for our little one we are expecting in February! Oh huge congratulations. That’s great news. I wish you the best of luck. Thanks for stopping by. Thanks and best of luck to win one. First time I heard of these. would be great for my little girl. Ahhh that’s so cute I love it. Good luck. Oh that would be so lovely. Best of luck hunny and huge congrats how exciting. Hope to see you again soon. Great giveaway, he is cute. I would love one of these for my 6 week old nephew. It so fluffy I could die!! My daughter would go Baaaaarmy for this! This is so cute 🙂 ! I love these, think they are absolutely fabulous! I think my son & daughter would battle over who got to snuggle this! Would love to win this, he’s lovely! First, thank you for including a comment entry for those of us who don’t use social media. He is soooo cute I’d find it difficult to give him to the children – but I would, of course! Super cute! Have a little nephew due in November. This would be perfect for his arrival!